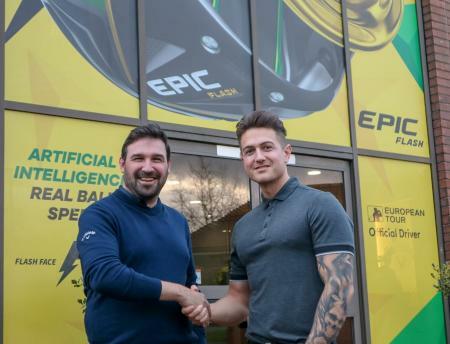 Englishman Jordan Smith, one of the rising young stars of European golf, has been confirmed as a Callaway Staff Professional, using a full bag of Callaway and Odyssey product, including Chrome Soft X Golf Ball. 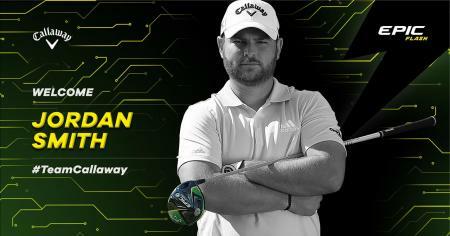 Englishman Steven Brown has been announced as the newest Staff Professional to join #TeamCallaway, using a full bag of product, including Chrome Soft X Golf Ball. 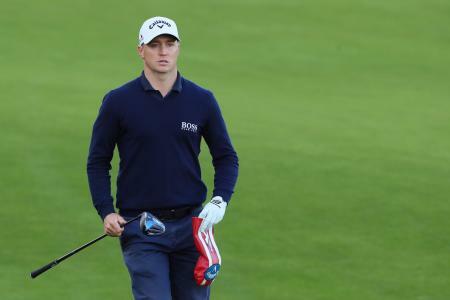 Callaway has further strengthened its team of Staff Professionals representing the brand on the PGA European Tour with the signing of Tom Lewis. 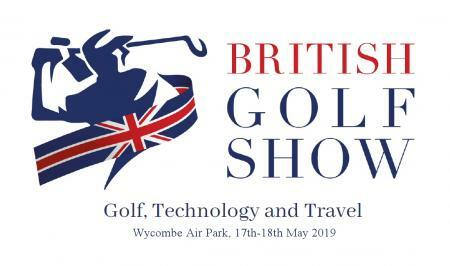 Callaway has today revealed arguably its strongest ever line up of PGA European Tour Staff Professionals for 2019. 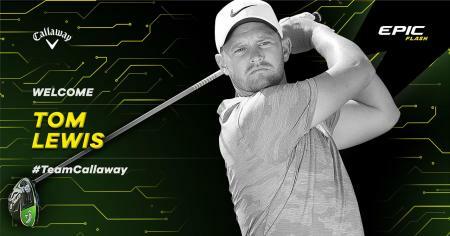 Callaway® Apparel has announced the launch of SWING TECH™ - technology that fuses athletic performance with classic fit and game-changing innovation. 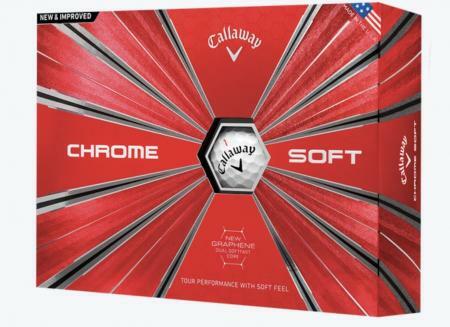 Callaway Golf has officially announced its new 2019 product lineup. 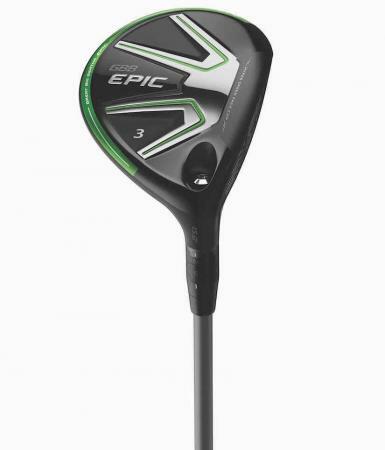 Top of mind for the Company’s innovative new equipment line include Epic Flash Woods, Apex Irons, Odyssey Stroke Lab Putters, and ERC Golf Balls. 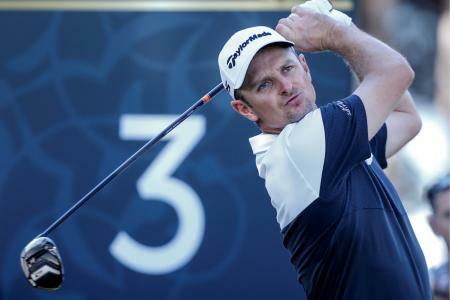 A full line-up of Callaway and Odyssey products powered Sergio Garcia to become only the second player in European Tour history to win the same tournament three times in a row as he claimed victory at the Andalucia Valderrama Masters hosted by the Sergio Garcia Foundation. 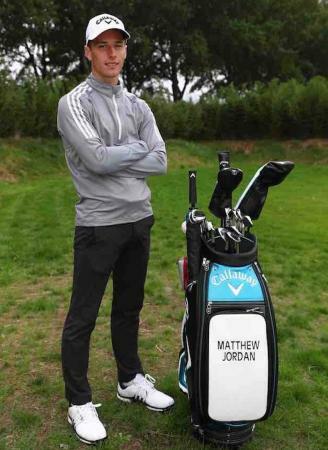 Callaway today announces the signing of talented young English golfer Matthew Jordan. 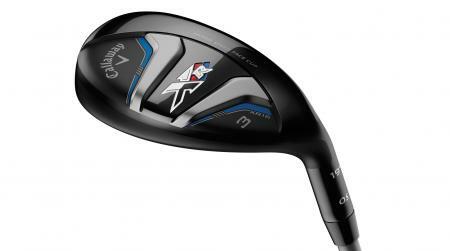 Callaway has revealed the Rogue Hybrids, the world’s first hybrids to feature Jailbreak Technology. 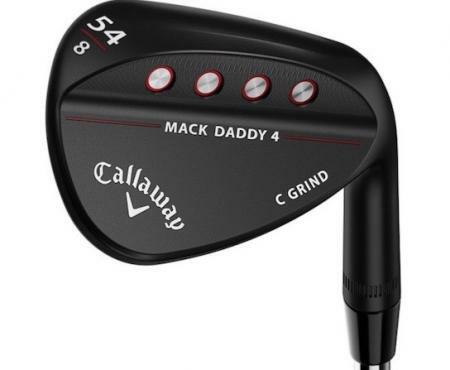 Callaway has today unveiled its Mack Daddy 4 Wedge line featuring an all-new proprietary Groove-In-Groove Technology that sets a new standard in shot-stopping spin and performance. 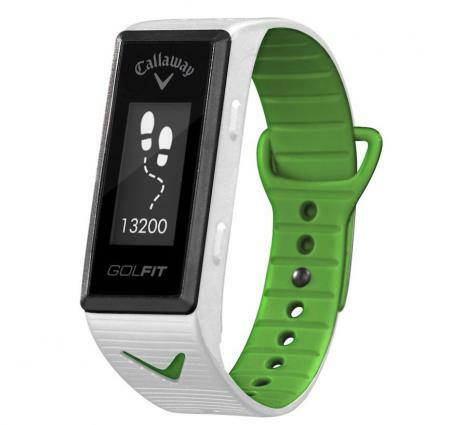 Callaway has introduced a 2-in-1 sports band featuring GPS distances along with fitness components to encourage golfers to live a healthier lifestyle. 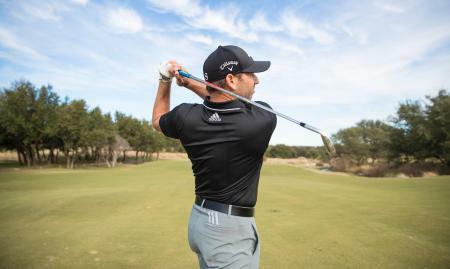 Callaway has announced today that Sergio Garcia, the reigning Masters Champion, has joined its Tour Professional Staff. 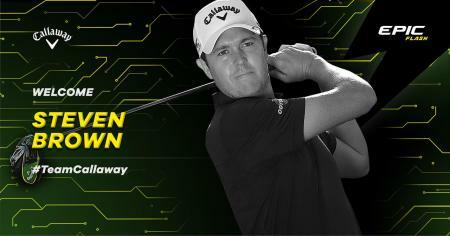 He will play Callaway woods, irons and wedges, an Odyssey putter and a Callaway Chrome Soft ball. 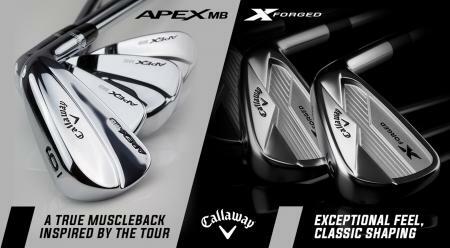 Callaway has today announced the launch of two new iron models for the better player; the new Apex MB and X Forged. 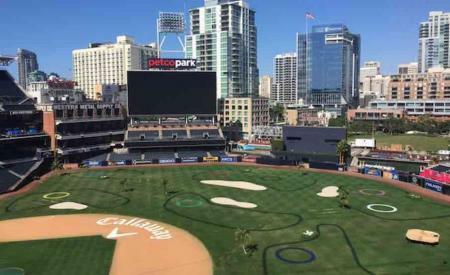 Callaway is bringing a nine-hole golf experience back to the San Diego Padres' stadium for the third year in a row, with the Links at Petco Park running from the 5th to the 10th October. 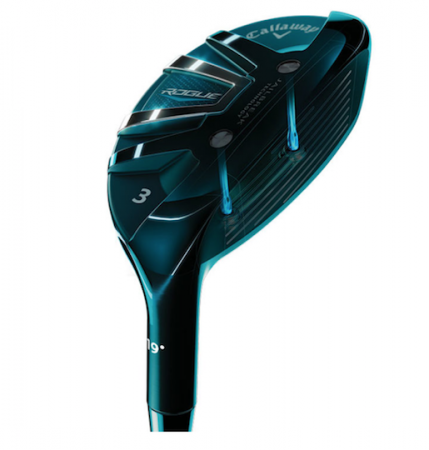 Callaway has launched the Steelhead XR Fairway Woods, a modern and powerful interpretation of the iconic shape that made the original Steelhead one of the best–selling fairway woods of all time. 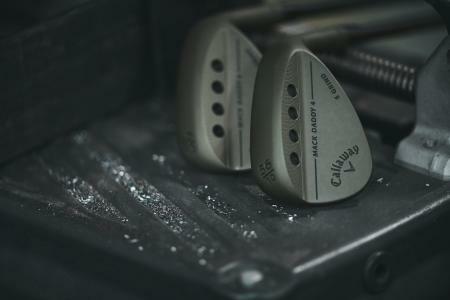 Callaway has today announced the launch of Callaway Customs, a Tour–level customisation and personalisation service that gives every golfer the opportunity to create their own bespoke wedges, designed exactly for them, by them. 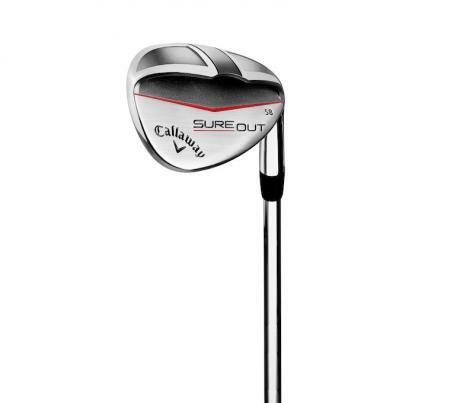 Callaway has today unveiled its new Sure Out Wedge, created in collaboration with world–renowned golf instructor Hank Haney, to provide optimal performance on greenside shots. 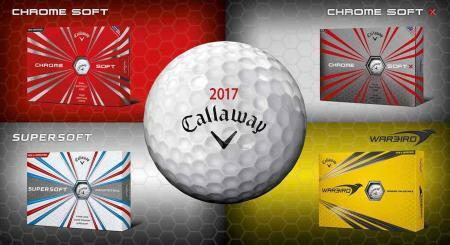 Callaway Apparel is launching its Spring Summer 2017 collection, which combines modern colours, styles and fits with innovative and performance fabrics. 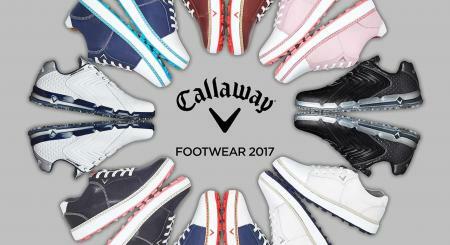 Callaway has today unveiled its 2017 Footwear Collection, which blends performance–enhancing design features with a host of innovative styles and striking colours for men and women. There's gonna be a jail break. That's what Thin Lizzy's Phil Lynott sang. Before he died exactly 31 years ago to the day. 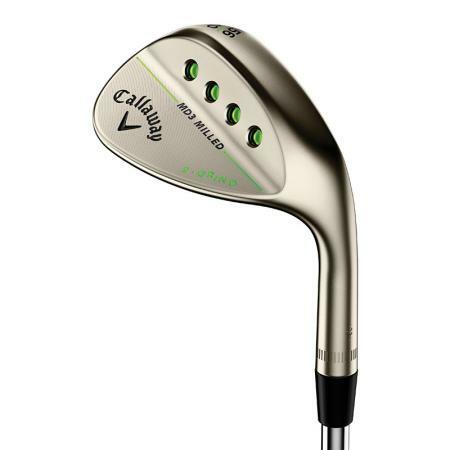 Which is weird because today, that's right, 31 years to the day, Callaway are launching their own jail break. 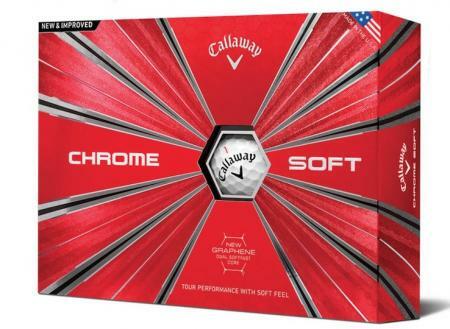 Callaway has announced its 2016 financial results today, and they are clearly on a roll. Callaway have pulled off a major coup by signing major champion Michelle Wie. 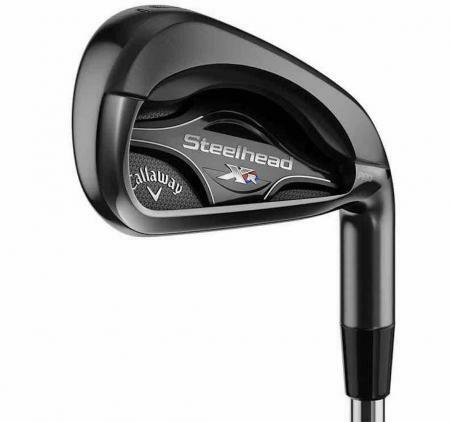 Callaway Golf is introducing a new addition to their hugely successful Steelhead XR family with the launch of the new Steelhead XR Pro Irons. 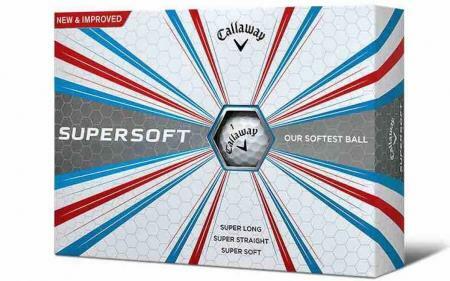 With their new Supersoft Golf Ball, Callaway have combined their lowest compression golf ball ever with a soft cover and their Premuim HEX Areodynamics surface pattern. Result: long, straight and Supersoft. 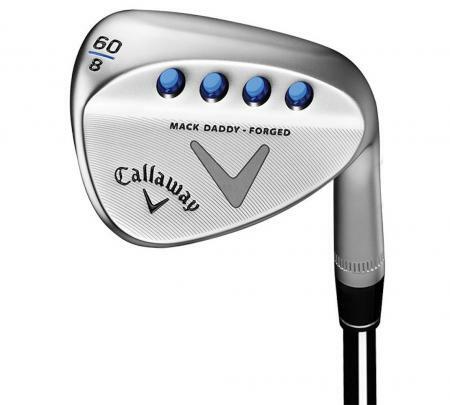 Callaway has today launched an ultra-premium wedge called Mack Daddy Forged, created by the industry’s master of wedge design, Roger Cleveland himself. 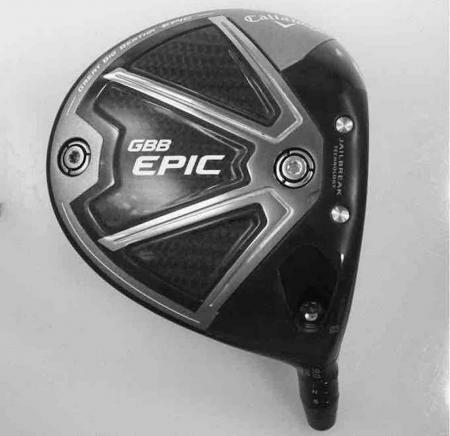 Callaway has launched Great Big Bertha Epic Fairway Woods, which incorporate Callaway’s revolutionary and proprietary triaxial carbon composite material to enhance forgiveness, power and accuracy. 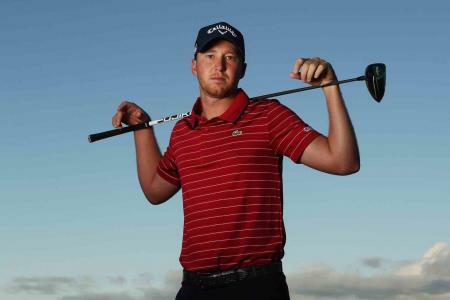 Callaway has announced that it has reached a Staff Pro agreement with Daniel Berger. 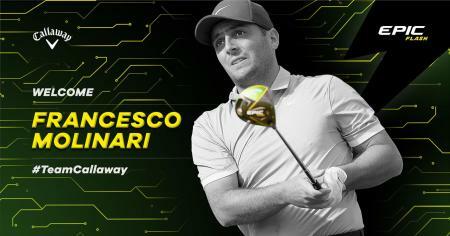 Already a standout performer on Tour, Berger joins the company following a breakout season, highlighted by his first PGA Tour win in June at the FedEx St. Jude Classic. 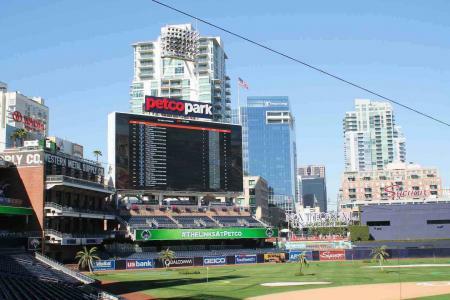 VPAR, the pioneer of Live Golf Scoring, partnered with Callaway Golf and The Links at Petco Park to add a new competitive element to this unique experience. 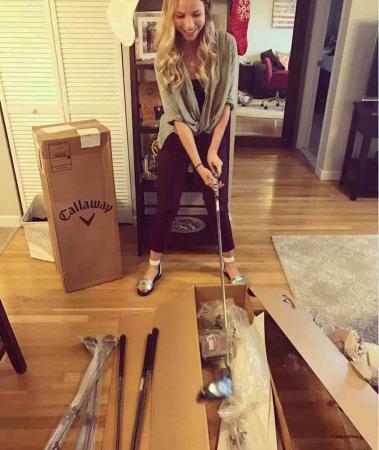 As we reported last week Kira Kazantse, a former Miss America, had her golf clubs stolen and was remarkable forgiving of the thieves. 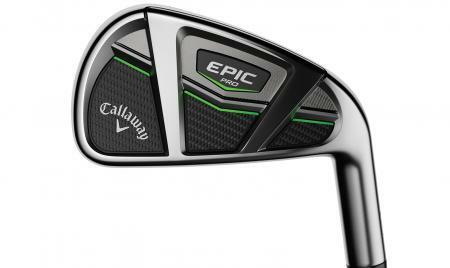 And now Callaway have stepped in and replaced her stolen set with a brand new, shiny set of sticks. 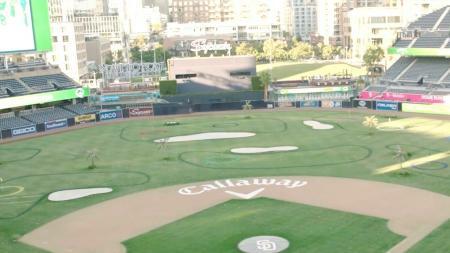 Callaway have been working with the San Diego Padres to transform Petco Park into a 9–hole golf course. And Paige Spiranac has been putting in an appearance. 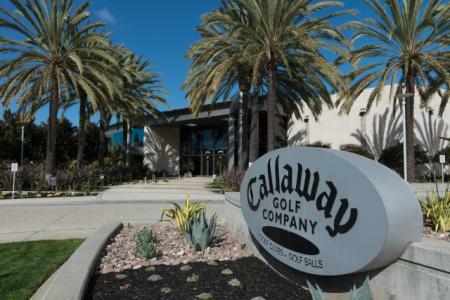 Shares of Callaway Golf were up 13.5% yesterday after they beat their third quarter estimates. 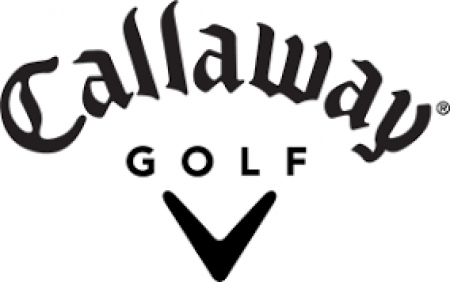 Callaway Golf secured a major coup yesterday when they announced they have hired Hideyuki 'Rock' Ishii, the the former senior director of innovation for golf balls at Nike Golf. 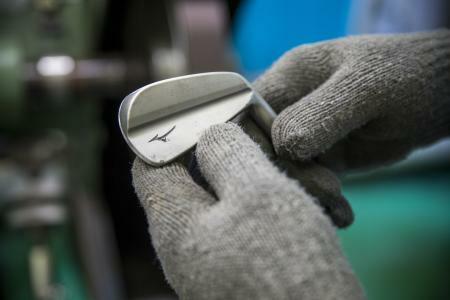 The most forgiving, longest hitting Callaway irons ever. 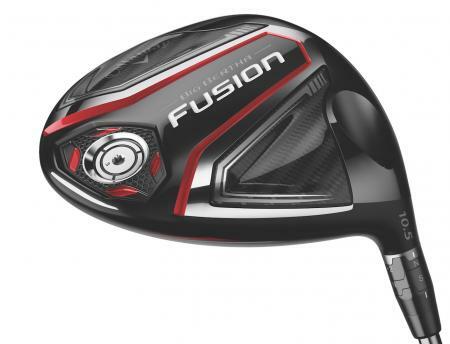 Callaway go back to the future with the new Big Bertha Fusion, a driver designed to be a fairway splitting machine!!! 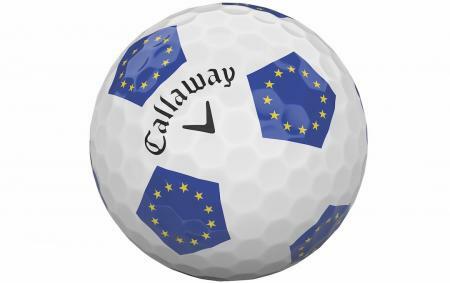 Callaway have bought Toulon Design? Who are they then? 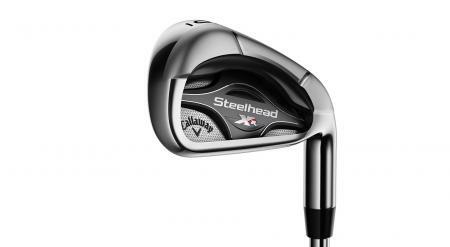 Callaway have taken all of the best bits of the legendary X14 irons and updated them with the latest technology. Back to the future, baby! 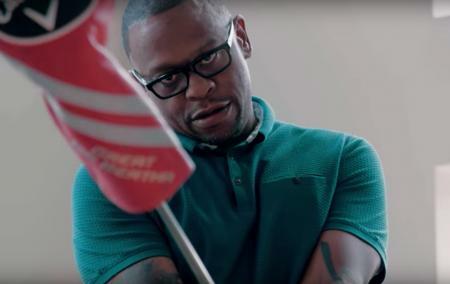 Callaway is coming out with a new documentary featuring rapper Scarface. 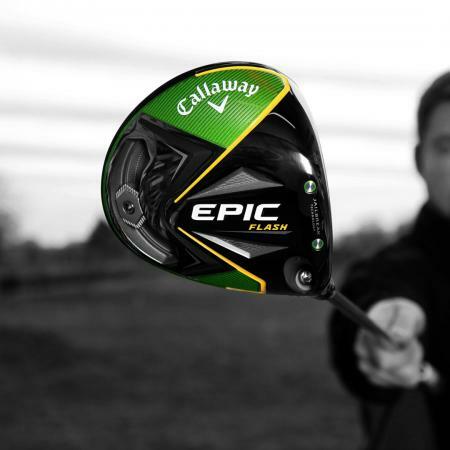 The 10-minute film will launch online in September and shows how Callaway is belatedly trying to lure millennials into the game. 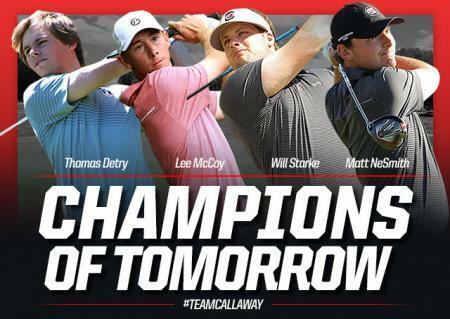 Callaway has today announced a quartet of new signings with four top ranked amateurs becoming full Staff Professionals, including Belgian Thomas Detry, currently ranked 7th in the world. 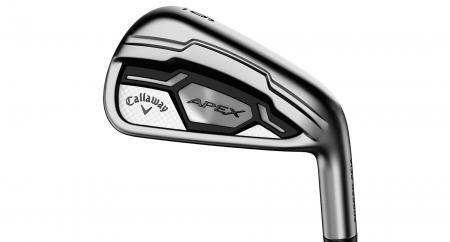 The Callaway Apex Black Irons!!! 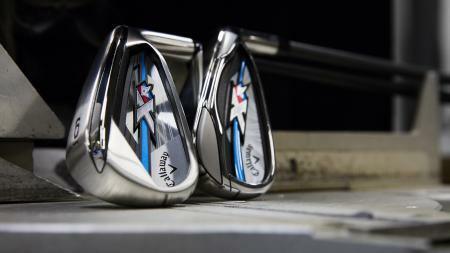 We love the Callaway Apex irons, they're super easy to hit and look great. 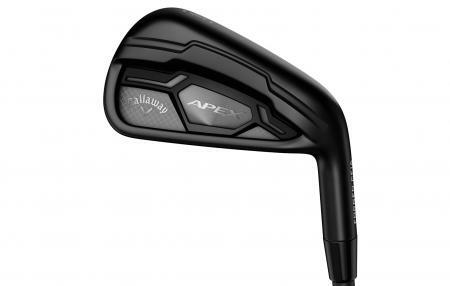 These new limited edition Apex Black irons look even better! 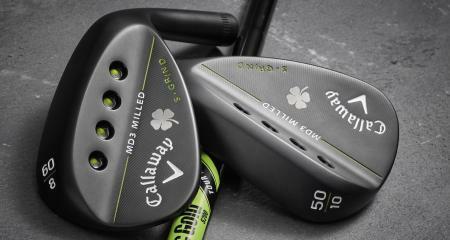 Callaway have launched a range of limited edition St. Patrick's Day Lucky Clover MD3 forged wedges. While scientifically these aren't proven to be any luckier, the superstitious and Irish among us are going to want a set of these right? 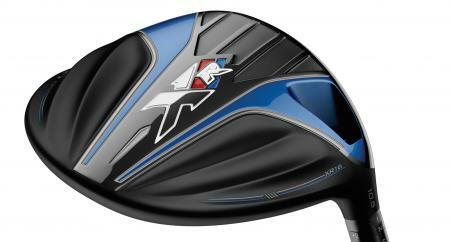 Check out this super limited edition driver Callaway have created specifically for their long hitting tour professionals. It's the driver for the best of us. 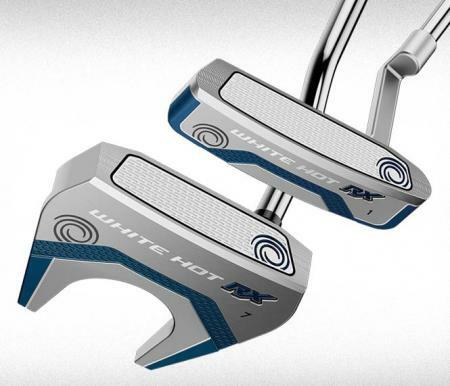 Odyssey have announced the next chapter in the life of the iconic White Hot insert technology, with the launch of the new White Hot RX Putters. 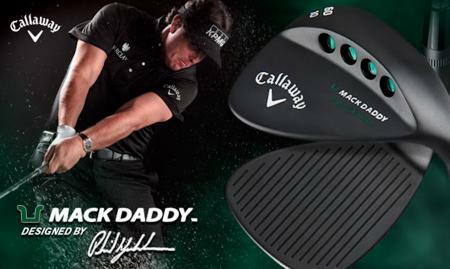 Callaway has launched a Matte Black version of its Mack Daddy PM-Grind Wedge, which came out last year and was designed by five-time Major winner and Callaway Staff Professional, Phil Mickelson. 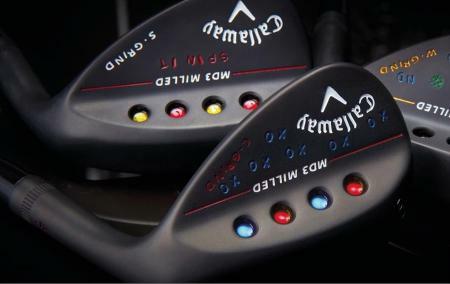 Late last year we were spirited away to Dubai to try the latest Callaway products. 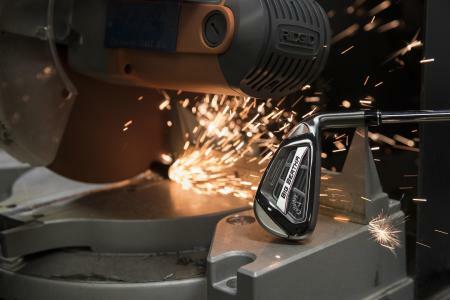 Today we can finally tell you about the new XR OS irons, the most forgiving clubs in the Callaway lineup. As well as the Callaway XR OS Irons we got to hit the matching XR OS Hybrids on our recent excursion to Dubai. 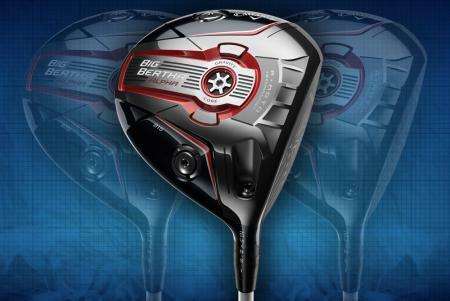 They might just be the easiest to hit hybrids we’ve ever tried. It’s been a fairly quiet start to the year when it comes to equipment companies making new player signings. 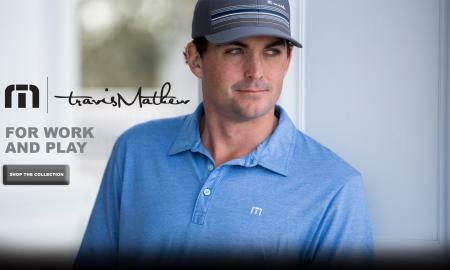 While PXG have made some noise with their new roster including Zach Johnson, and Nike have signed Brooks Koepka, the big two of Callaway and TaylorMade have been very quiet. “Dubai you say? End of November you say? 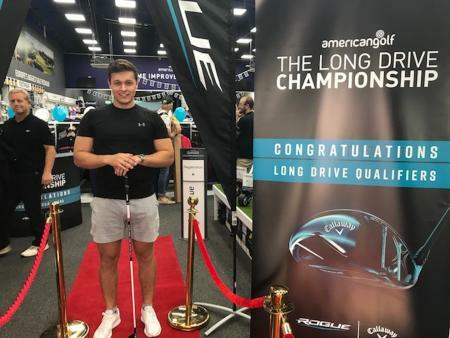 Two new drivers you say? 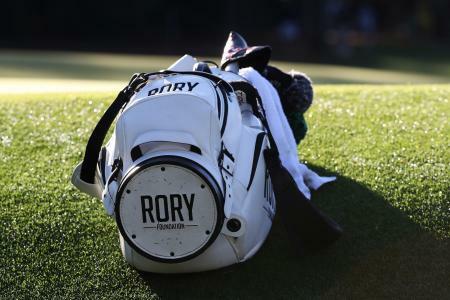 Smoke me a driver, I’ll be back for my tee time.” I didn't exactly need my arm twisting, and with that I was off to the Arabian Ranches Golf Club to try the latest Callaway XR 16 and XR 16 Drivers. 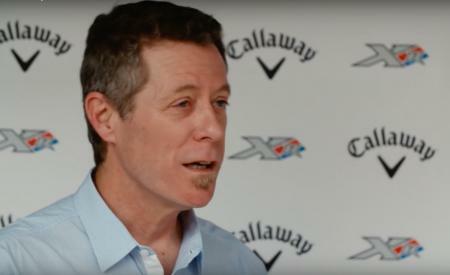 We spoke to Jeffrey Crouch, Senior Technical Fellow, Flight Sciences, Boeing Commercial Airplanes (now try saying that quickly-Ed) about how they helped improve Callaway's latest XR16 Drivers. We don't claim to understand everything he says either! 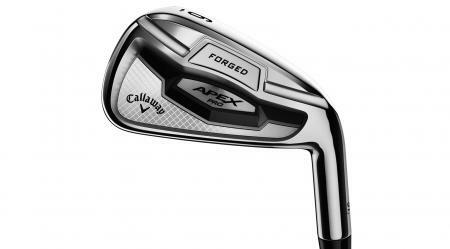 Callaway’s Apex Pro 16 is the most forgiving forged players iron they have ever produced. 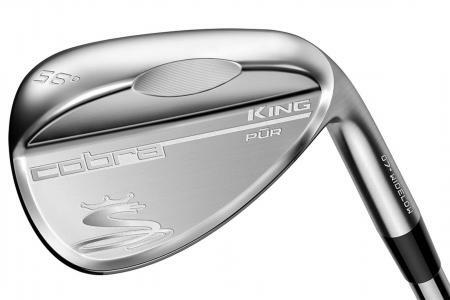 With a shape and size similar to the X forged, but with the forgiveness of the original Apex Pro’s, expect these to be filling up both tour and club bags next season. 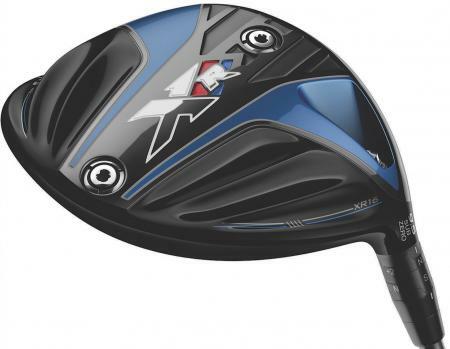 The Apex Pro is a simple hybrid for the better player. 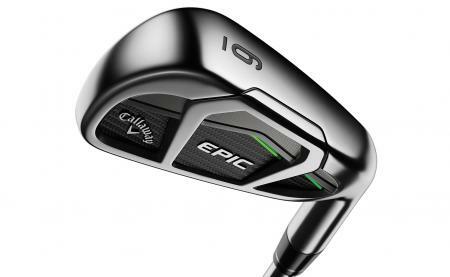 In a world where everything is built for distance, and adjustability, Callaway have bucked the trend with a hybrid that is built for consistency for the good golfer. 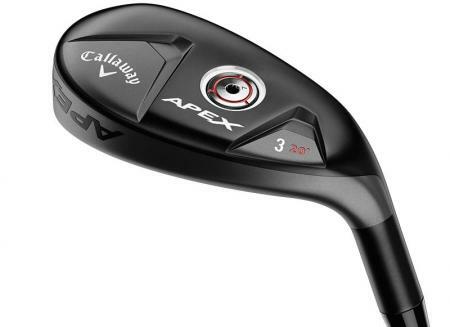 Callaway’s Apex irons were one of the big success stories over the last couple of seasons. We all want more help, but we don’t want to use chopper big bats. 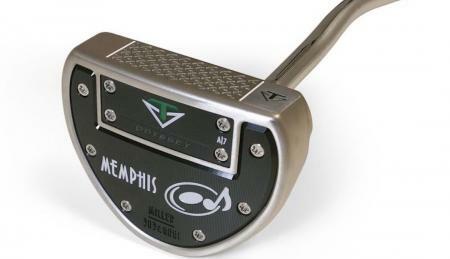 The Apex felt great, and the ball flew miles, without looking like a garden rake. The Apex CF16 is their update. 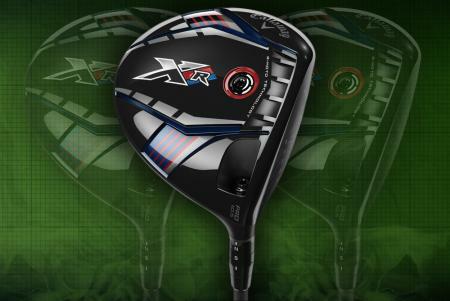 We love our fairway woods to look simple. We don’t want any distractions at address, nor features we deem unnecessary. 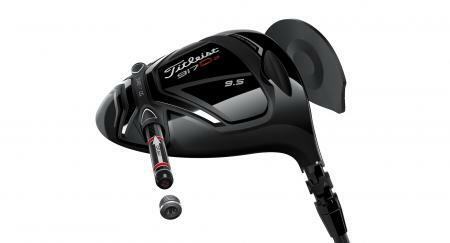 We want a serious golf club for getting the job done, good from the fairway and strong off the tee. 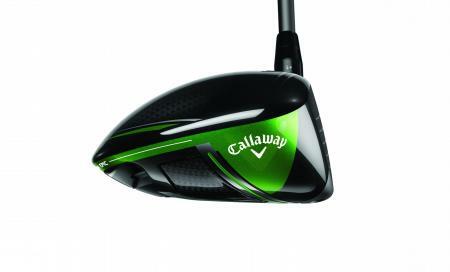 This new Callaway could easily be our next three wood. 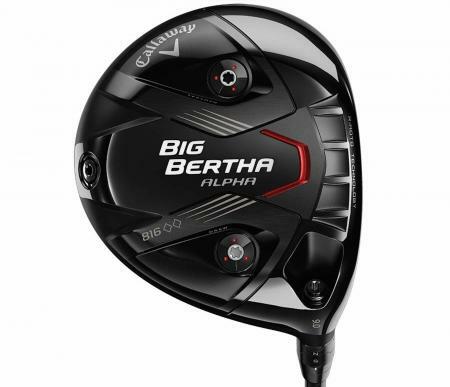 The Great Big Bertha might be the best driver for most players, but if you’re already a long hitter, the new Big Bertha Alpha 816 Double Black Diamond Driver (now that’s a mouthful– Ed) could be the driver for you. 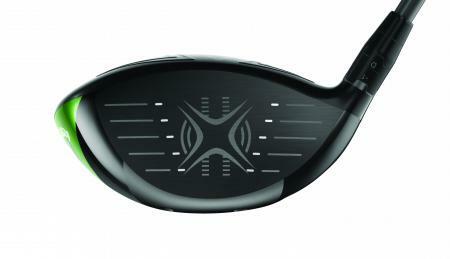 With it's classic looks, and centre of gravity optimisation this is a driver that can unlock extra yards. 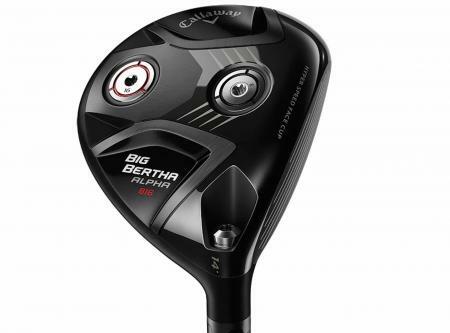 Callaways latest long ball smasher! 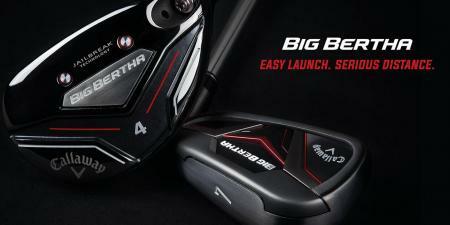 The Big Bertha Alpha 815 is literally the Alpha of Callaway's pack this year. 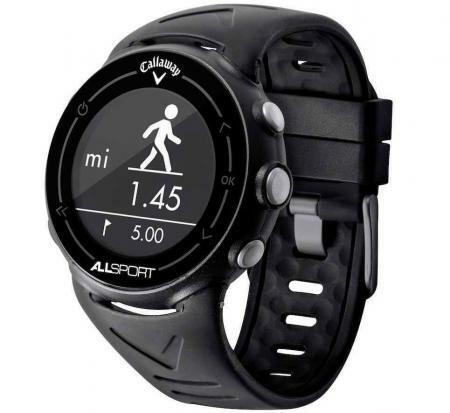 Callaway has introduced the first multi–sport watch designed specifically for golfers – the ALLSPORT. 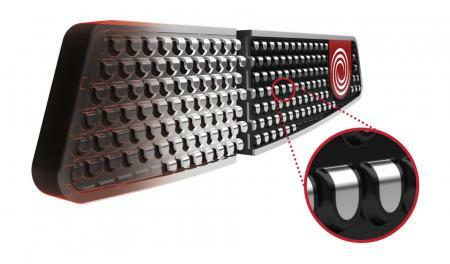 Odyssey's new range of 2017 O-Works putters hit the streets today and the big story is the new Microhinge Face Insert Technology. So insert that in yer golf pipe and smoke it! 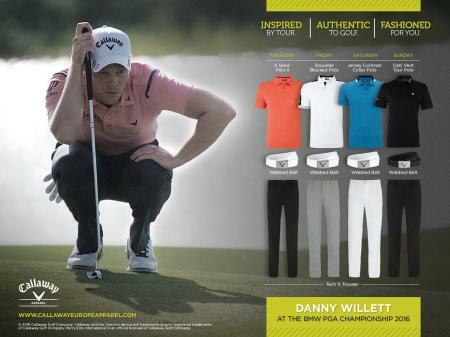 Callaway Apparel is showcasing its Spring Summer 2016 collection at The BMW PGA Championship at Wentworth next week. 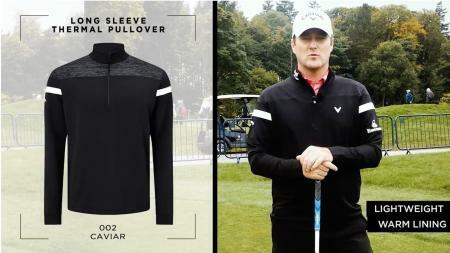 Here's a sneak preview of what their players will be wearing. 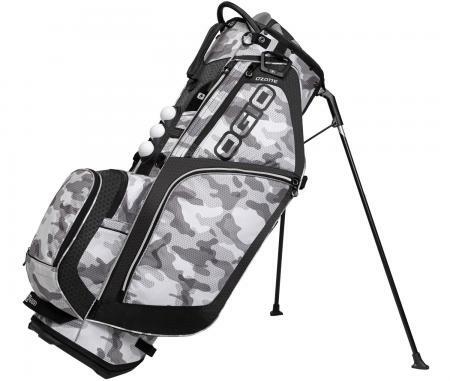 If you’re looking for last minute Christmas gifts for someone who loves their golf then look no further. 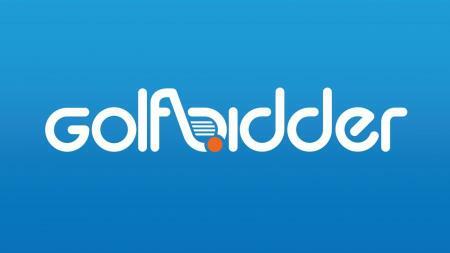 Our friends over at Golfbidder.co.uk have some fantastic golf products suitable for family and loved ones that you’ve left till the very last minute, all for reasonable prices! 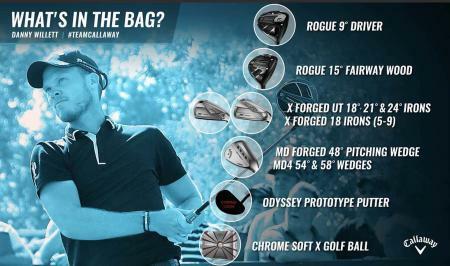 Callaway Staff Professional Danny Willett proved just how much he loves his new Odyssey Prototype Stroke Lab Putter by rolling in 23 birdies and an eagle on his way to victory at the season-ending DP World Tour Championship in Dubai. 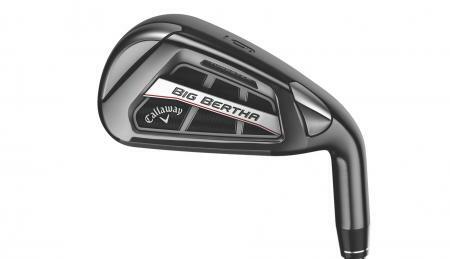 Big Bertha is one of the most iconic names in golf equipment, designed to push the boundaries of innovation and performance, and today Callaway has announced the latest addition to the Big Bertha Family, the new Big Bertha Irons and Hybrids featuring ground-breaking technologies to deliver faster ball speed and easy launch. 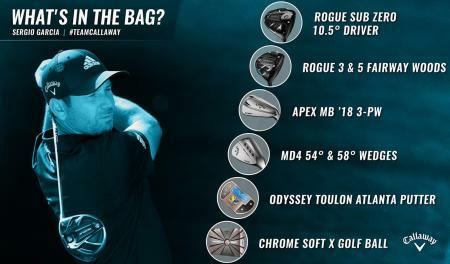 Callaway today announced the new Mack Daddy 4 Tactical Wedge, setting the standard for wedge performance by combining innovation technologies with premium components. It's the finest collaboration yet between industry wedge legend Roger Cleveland and Callaway R&D, with heavy influence from Tour Players. 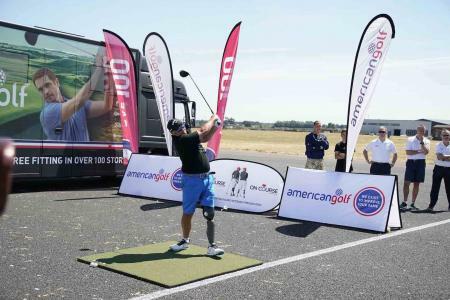 It wasn’t just the temperatures that were soaring this week as some of the longest drivers in the country sent their balls flying down the runway at RAF Honington. 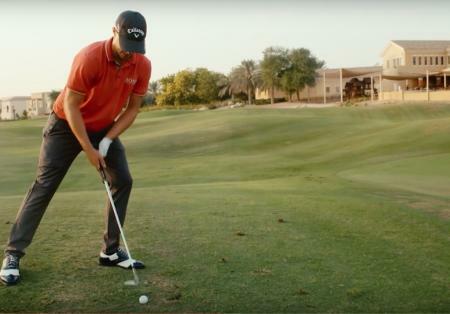 Four time European Tour winner Alex Noren shows you how to play a lob shot off a seriously downhill lie. 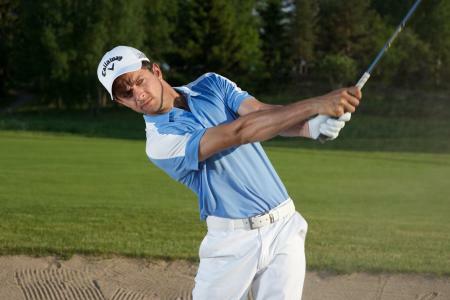 Learn this lob shot to seriously impress your mates. 2018 is looking like the year of the blade. You can wait years for a new model of this most classic of irons, and then suddenly four come along at once. 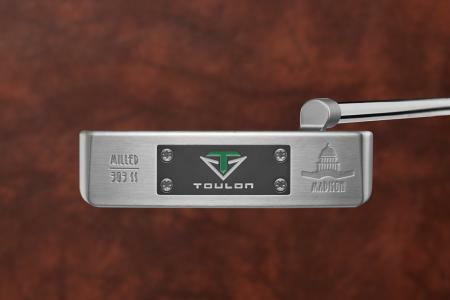 Odyssey has announced the European introduction of Toulon Design Putters, a premium line of performance–driven products, which bring together the best in look, sound, feel and technology. 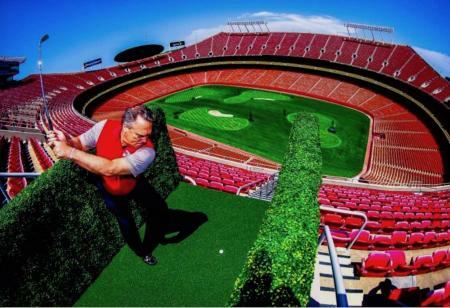 An events company has announced it will set up multiple tee boxes in the Raymond James Stadium in Tampa from June 2 to 4, allowing golfers to shoot for nine different holes created on the field hundreds of feet below. 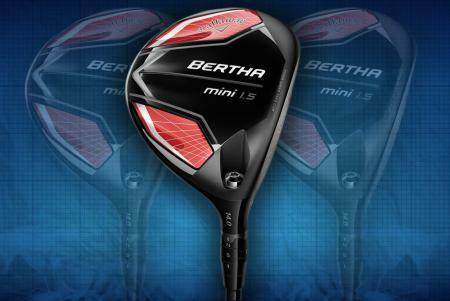 We don't know about you, but we want to hit the ball further. From watching Jason, Dustin and Rory rip it off the tee, to seeing Lucas Dornan drive it 380 yards on the regular, distance matters. Here's a round up of 2017's best drivers. 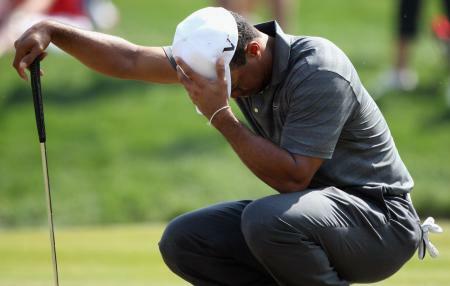 How to Escape A Plugged Lie!!! Tom Watson has been in more than a few bunkers in his time, so who better to show you how to escape a terrible plugged lie than the five time Open Champion? 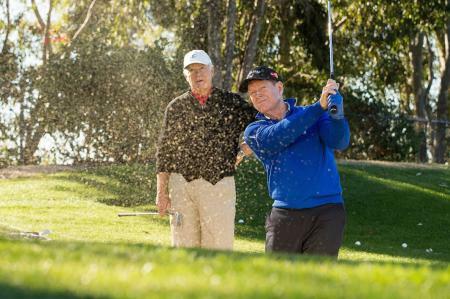 Tom Watson and Callaway's wedge guru Roger Cleveland will help you escape that buried lie every time. George Bush's presidential golf equipment sells for $30,000! Sometimes timing is everything. As Donald Trump becomes president elect, a golf course worker from Maine has auctioned off his collection of former US President George Bush's personal golf equipment. For $30,014.95!!! 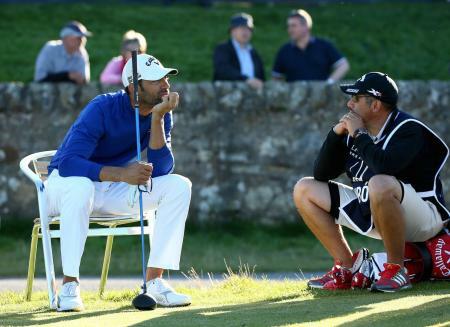 Alvaro Quiros smashed his three wood in practice, all because his downswing was too far from the inside!!! 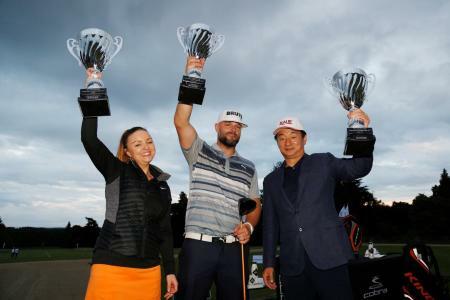 Callaway, Wilson Staff, and Mitsubishi Rayon are all celebrating big weekends with victories at the British Masters and Safeway Open. 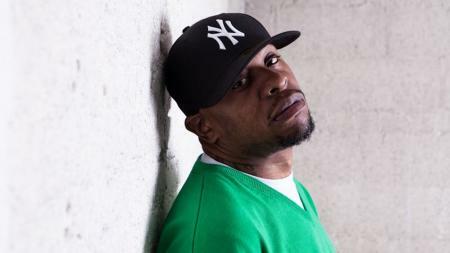 Rapper Scarface on his love of the game. 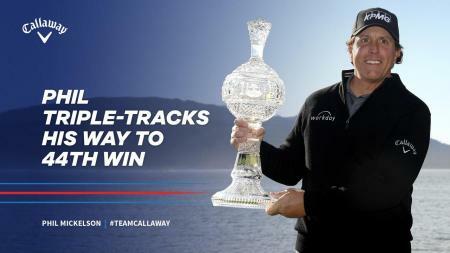 And his shiny new Callaway sticks!! !